Hi readers, my name is Titan Young, and I am writing a guest sports post here on Slap the Penguin. This is like an audition for me so please comment and let the bosses know what you think. Thanks. Ex-Minnesota Viking quarterback, Donovan McNabb, has announced that he is retiring from professional football this season, and he will be doing it as a Philadelphia Eagle, which is how he started his NFL career. He led the Eagles to a handful of NFC championship games and a Superbowl (2004) during his time with them. "I get paid just to sit here?" 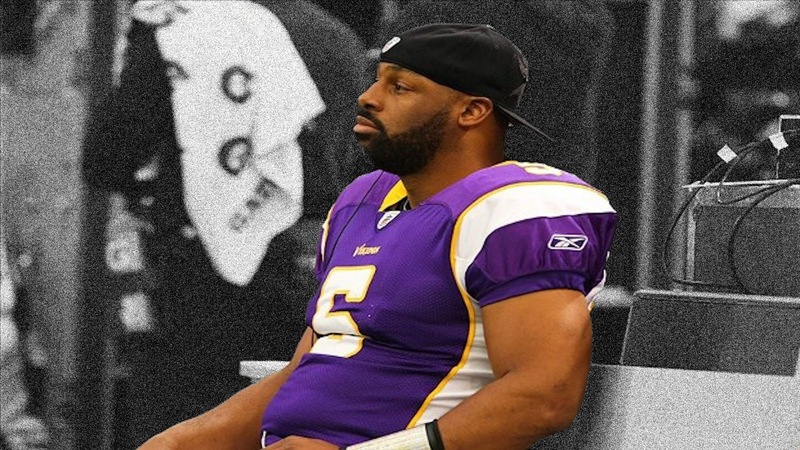 However, it was during his 2011 season with the Vikings, that he earned the all time NFL record for most time sitting on a bench by a starting QB. Many football fans thought that he had actually retired during that season after watching him play for the Vikings. Then in December of that year McNabb requested that he be either released from the team or euthanized. Minnesota released him from his contract and he was quickly snapped up by nobody whatsoever. Minnesota is fast becoming known as the quarterback geriatric home after picking up both McNabb and Favre at the wrong end of their careers. It is rumored that Peyton Manning will be wearing purple and gold for the 14/15 season when the Broncos drop him after a probable lackluster performance this coming year. Ooops, back to McNabb. He is set to sign a one-day contract with the Eagles on Monday 29th in order to announce his retirement with at least a little bit of dignity. He will continue to work in the football field as an NFL network analyst, where he gets paid to sit down and just think about football, like he did at Minnesota. What is it with you guys constantly slamming the Vikings? We almost won a Superbowl four times. Go find some other team to pick on and leave us alone.